Is there a search function on this forum? I couldn't fine one. Second, how much foot room at the peddles is there. What I have read, the Intermeccanica and Beck Speedsters have more because of the tubular framing. I have a '14 Boxster and the foot room is fine. How does this compare? Search button is the iconic magnifying glass like most websites, at the top beside the "donate" tab in this case. 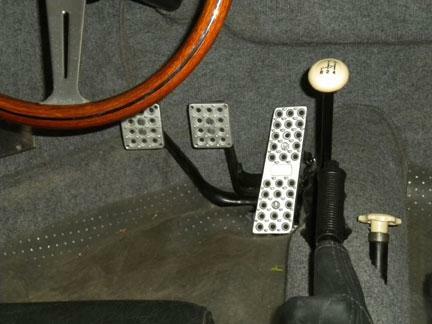 The "foot pedals" are offset tot he right from the normal position in your Boxter and there is definitely less foot room than in your Boxster for the non-Beck models at least. Someone will come along with better photo examples. Thanks WNGD. I guess the Donate button was blocking the search button. Find an old VW Beetle and that is the foot room in a VW Pan based car. 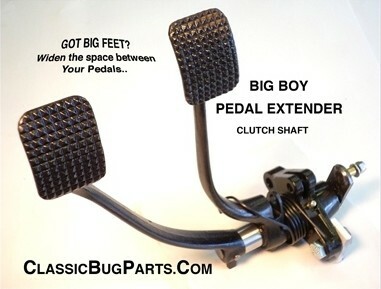 There are new pedal pieces that move the clutch pedal over a bit --- if you have big feet. I note when I fail to sign on, the search spyglass is missing. Once I sign on bingo.